The Ranges of Fighting in Clear’s Silat are as follows. Clear’s Silat Ranges of Fighting are based on the distance that your torso is from the torso of the recipient and how far their torso is from you. The first step is to learn the ranges. The 2nd step is to learn what techniques can be used at each range and where and how they can be used. For instance at 1 to 2 steps out of kicking range you can hit the opponents extended kicking leg with your hand, foot, knee or elbow. You can punch, kick or grapple at every distance from 1 to 2 Steps out of Kicking Range to Pukulan “Collision” Range. 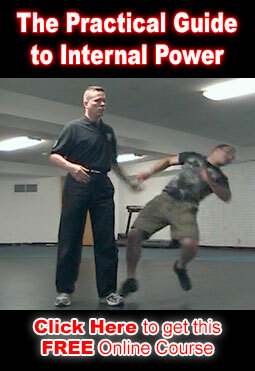 However, what you punch, kick or grab / break and the way you punch, kick or grab / break will be different at every range. In Pukulan “Collision” Range you can use all of your bodies tools and weapons. They will be used differently than they are at kicking range but they can be used at this distance with quite effectiveness. Both striking and grappling can be performed quite well at this distance. There is simply to much info for me to try to post it all here. You will want to see our video on this in order to get a better idea of how to effectively use your tools when in this close body contact range. The 3rd step for proper utilization of ranges is to learn how to transition from one range to another effectively. An example of this is training how to get from 1 to 2 steps out of Kicking Range into Pukulan “Collision” Range in a way that does not cause you to get hit but allows you to go all of the way in with your various techniques. 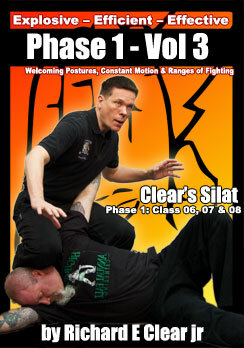 I will write more about the 3rd step of Clear’s Silat Ranges of Fighting in my next post.